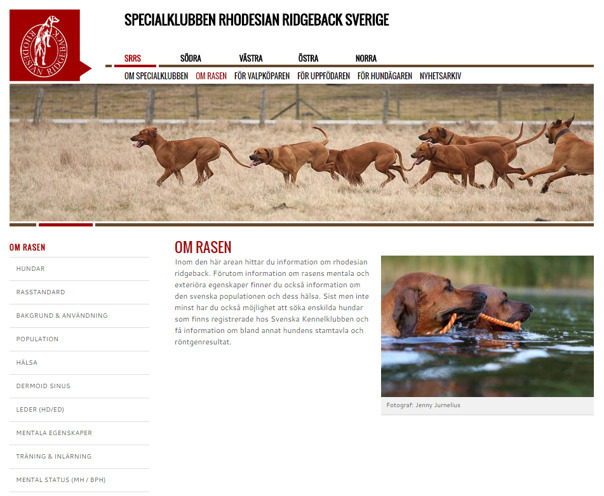 Our breed club SRRS - Special Club Rhodesian Ridgeback Sweden, has a very good website which contains good and important information about our breed. Are you facing the decision to buy a Rhodesian Ridgeback, our breed club's website right side to visit for more knowledge and information. Follow the links below! (Only in swedish).